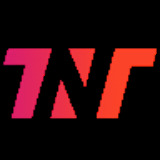 the next tech (TNT) is online platform where you can read and write the latest news,trending technologies,finance, security, future and many more. Realme 3 Pro launching in India on April 22, Can it Beat Xiaomi Redmi Note 7 Pro? 1. Realme 3 Pro is launching in India on April 22.